A delegation of Hesperia Lodge Master Masons led by Worshipful Master RW Bro. 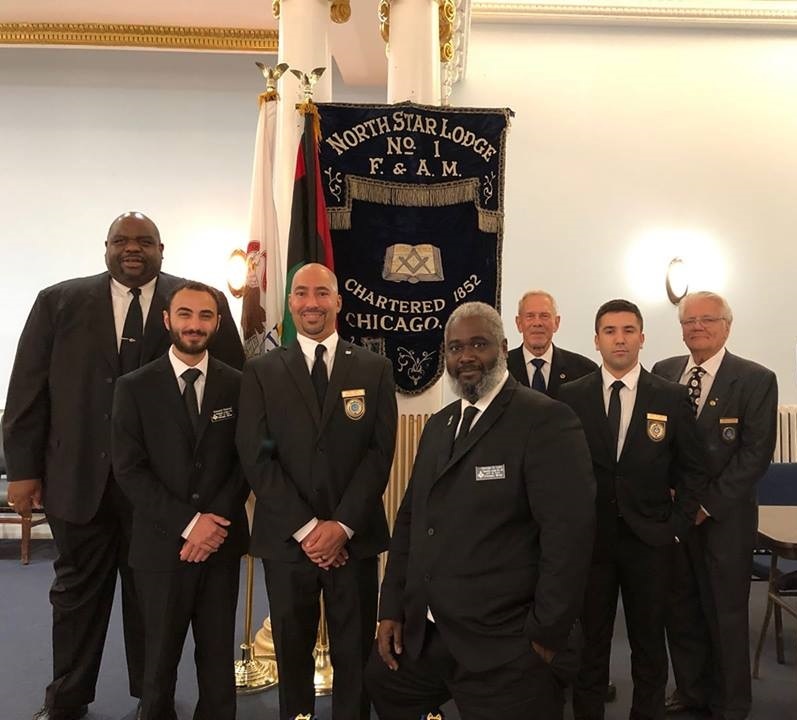 Spooner convened on Friday, September 7th to enjoy Fellowship and Learning with the Brethren of North Star Lodge #1 of the Most Worshipful Prince Hall Grand Lodge of Illinois in Chicago. Also, they had a unique opportunity to witness the performance of a 3rd Degree Ceremony.